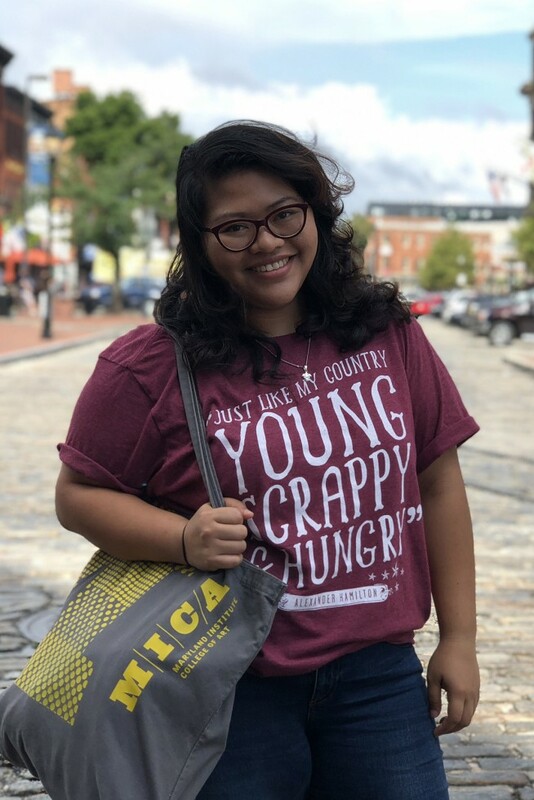 Through her social design work on the ground in Baltimore, Smile Indias ’17 makes truth-seeking an art. A native of the Philippines, Indias exemplifies the role of duty-bound civil servant. 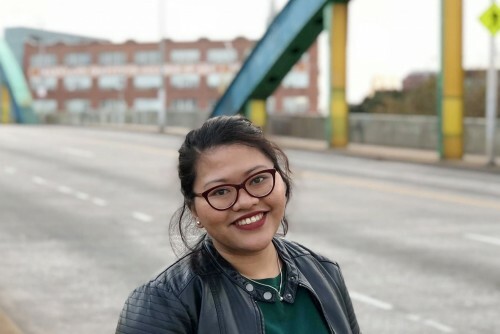 She worked in the government of former Philippine President Benigno “Noynoy” Aquino as a graphic designer for almost five years, an experience that made her think about how much more she could do with her design skills to help Filipinos. Inspired, she came halfway around the world in pursuit of an M.A. in Social Design (MASD) degree at MICA. Because the Social Design program is focused on practice-based learning, Indias was expected to collaborate with a partner outside of MICA as part of her thesis project. Choosing to work with government was natural, and she dove headfirst into one of the city’s most challenging and pressing issues — the relationship between the Baltimore City Police Department (BPD) and the city’s communities. In working with the BPD, her role was to provide officers with spaces to provide feedback on vital department-wide policies that had to be reviewed or written in light the Consent Decree, an agreement between the City of Baltimore and the Department of Justice intended to build community trust while preventing discriminatory police practices. Indias — who is quick to note that much of her work with the department is classified — began by partnering with an officer who, as she said, “was willing to allow me to have conversations with 25 other police officers, mostly centered on Section IV of the Consent Decree.” Section IV focuses on revising policies regarding stops, searches, arrests and voluntary police-community interactions. Her research — which now focused on designing spaces for officers to give input to policy — now included participating in ride-alongs with officers, sitting in on training classes at the city’s police academy and working alongside the Consent Decree Compliance Unit. Towards the end of the year, she provided the department with suggestions about best practices for implementation of Section IV. To her surprise, the BPD asked her to stay on and continue her work at the department, a task she was happy to take on. Though she enjoyed a sense of comfort in her work being an outsider, it was truly her appreciation of doing design in government that pushed her to work with BPD. Throughout her year with MASD, Smile attended Baltimore community events that responded to the 2015 Baltimore Uprising. These interactions inspired her thesis project regarding the consent decree, which eventually led to her becoming a T. Rowe Price Fellow as well as Design Strategist to the BPD in 2018. And in the Social Design program, where students are asked to think critically about how social issues affect communities, that training came in handy. For the last year, Indias has continued her work with BPD with hopes of returning to Manila in the near future.